Demi Monde hosts private events, chef pop ups, art openings, and wine tastings. Contact us to inquire about holding an event. 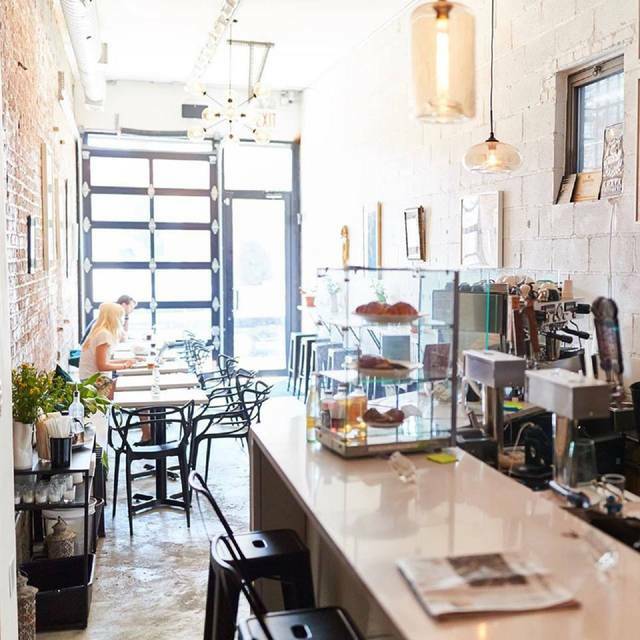 Opened in Bushwick in mid-2018 by a few life long friends originally from Texas, Demi-Monde is a cafe, natural wine bar, & coffee shop located at 257 Varet St, two blocks from the Morgan L stop. We serve organic coffee roasted in the neighborhood by Superlost Coffee and small batch Texas roaster Amaya Roasting Co. We serve organic tea from Bushwick Tea, rotating local microbrews on tap, and natural & organic wines. All of our menu is fresh and features many seasonal rotations. By day, Demi-Monde is an airy specialty coffee shop and cafe, serving brunch, sandwiches, toasts, smoothies, and salads. In the evening we transition into a natural wine bar serving handmade pastas and rotating seasonal sides and salads. At present, Demi Monde has no reviews. Please add a review after your dining experience to help others make a decision about where to eat.